Provide wheelchair access to your events. Complies with ADA/ODA/IBC/NBC guidelines. 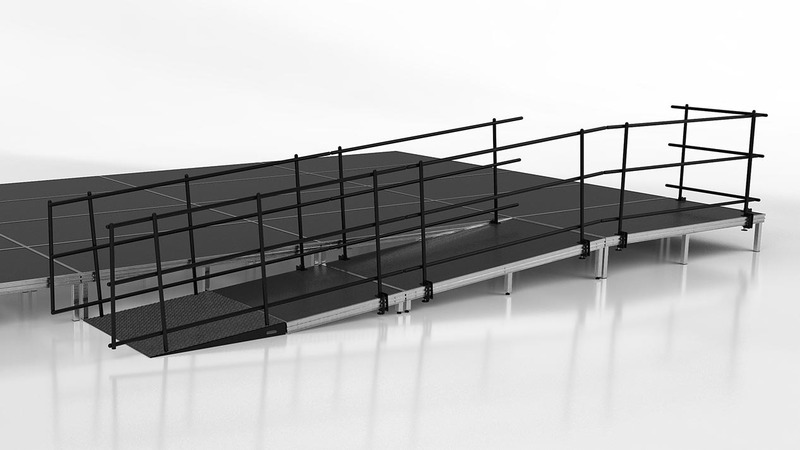 Easy set up offering flexibility in configurations using stage back entry or side entry. Available for all stage heights. Complete with guardrails. Black Top and Carpet Top. 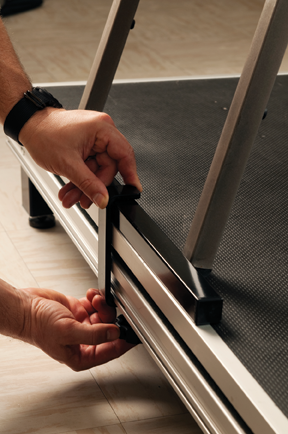 Providing easy access for getting equipment on and off stage. 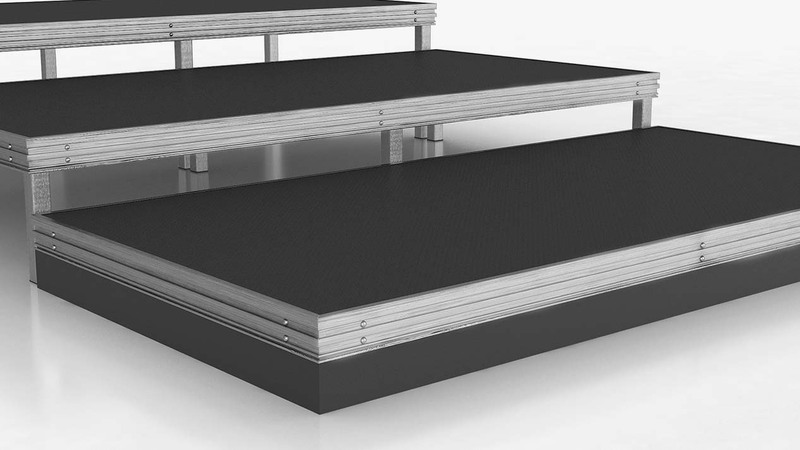 Add security to any stage or riser performance. All safety railings have built in chair stops. 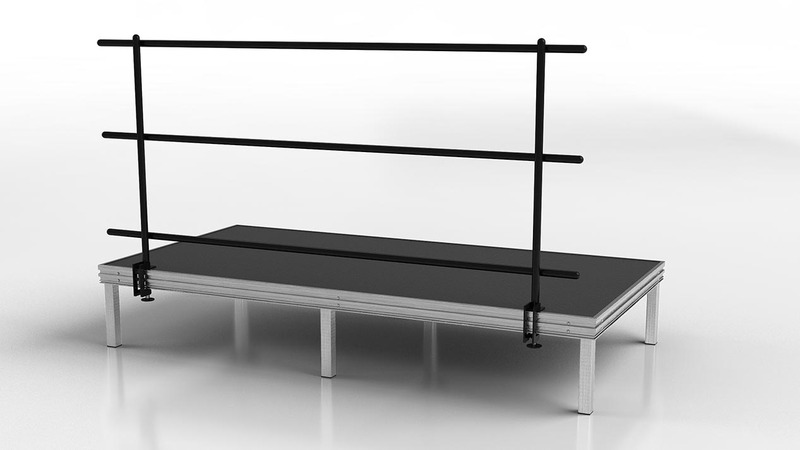 Guardrails attach without tools. 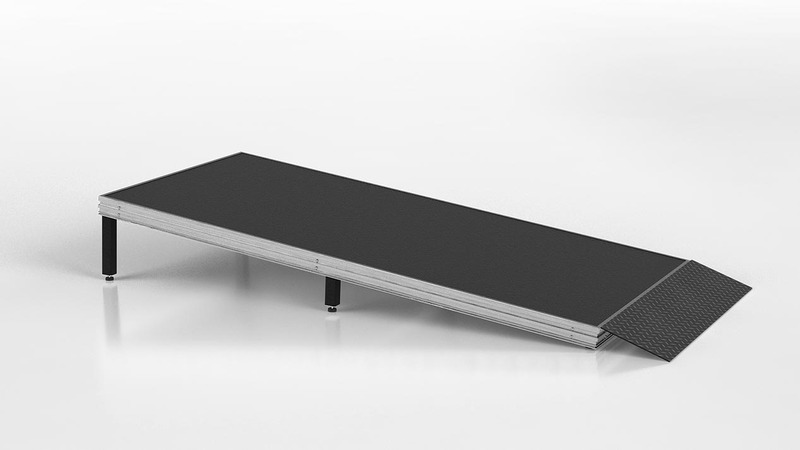 Prevent chair legs from sliding off platform edge. Fast & easy set up; simply clamp on to stage edge. No tools required. 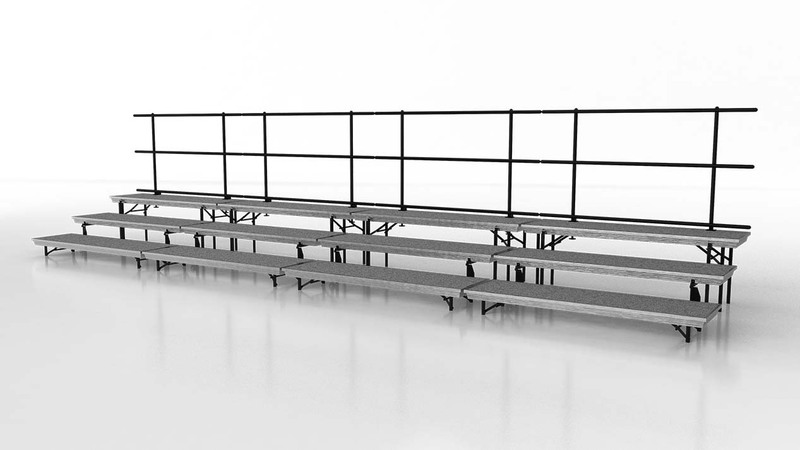 Create a finished look for your Seated Risers with front and side closure panels. Easy to install with a durable phenolic finish, they also double as a chair stop. Have a question about stages or risers? Need a part or accessory? Our team is happy to help answer all of your questions or to provide a free quote!